Playing instruments, battling abuse, making art, shaping music, creating drama, saving animals…these aren’t typical professions. But the six desis profiled here aren’t typical. When they reached the proverbial fork in the road, there was little doubt about which path they wanted to follow. 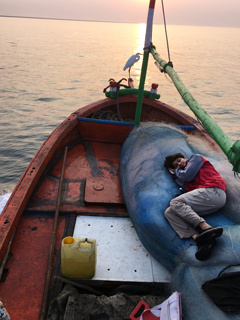 For them, making a living is no different from living their dream. In a fast-changing world, career choices will never be the same again. Unconventional jobs, far removed from the usual 9-to-5 grind, can be fun and soul-satisfying. It can also mean a lot of hard work, learning to forge your own way, and discovering strengths you never knew you had. These six young men and women tell us what it takes to be different—and how to make it work. Currently studying at Boston University for her Bachelor of Music degree, Hanan is savoring every moment of it, getting to learn from great musicians while enjoying a ringside view of fabulous classical performances. “My family has always been incredibly supportive of my interests. When I was in high school, I was accepted to attend Kendall Betts Horn Camp, an intensive one-week session in the White Mountains of New Hampshire, which attracts many famous horn players and teachers,” says the 21-year-old who also spent a semester in London, studying at the Royal College of Music. Kendall Betts was an expensive camp, but her parents collected their funds, and in the second year of camp Hanan was able to attend with a full scholarship. “The French horn is a very precarious instrument; it is very easy to enter on the wrong note. Even in top symphony orchestra concerts, it sometimes feels like everyone waits with bated breath in anticipation of a horn solo entrance. 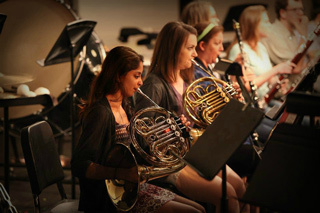 However, the sound of the horn, and the feeling of playing with a really great horn section, is unlike any other,” says Hanan, who reveres composers Richard Strauss and Gustav Mahler for their beautiful horn lines. Sayfty has been gaining ground with its pathbreaking initiatives, which include self-defense workshops, online campaigns like #IFeelUnsafeWhen, weekly Twitter chats that explore topics related to women’s safety and preventing violence against women, and the project “Speak Our Stories” that encourages survivors of gender-based violence to share their stories with others. Recently Sayfty launched their #RebelBooks campaign to crowdsource a list of children’s books that empower girls and challenge gender stereotypes. Her advice to youngsters who want to change the world? “I am a strong proponent of using social media for social good.” The youth today are already spending hours on social media, stalking friends, engaging, updating, and posting pictures. 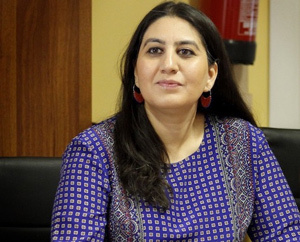 I would encourage them to use their voice, amplify it through social media, and engage with the government, policymakers, organizations, and officials to show they care about issues like the Sustainable Development Goals (SDGs),” she says. Unaiza Karim was thriving as a secondary school teacher in the U.K., where she also specialized in educating refugees and recently-arrived asylum seekers. Life took an interesting turn when Unaiza chanced upon an interesting Master’s program in the Metro newspaper while taking the subway (or the “tube” as it is known in London). “The course, a Master’s in Visual Islamic Art, was being offered at a curiously named place in the East End of London, called The Prince’s School of Traditional Arts. It sounded quite highbrow to be frank,” she laughs. Unaiza, though always artistically inclined, had never taken a formal art degree and decided to just go for it. Her choice of genre was a challenging and rare one—the illumination of manuscripts. “Illumination is a very specific skill. It’s about the art of the book itself—the binding, handwriting, calligraphy, and so on,” she explains. “Illumination is about decorating the writing and adorning the picture books with patterns in order to illustrate the stories. I focus on the decorative element of the book: the title, margin, top and bottom of page. 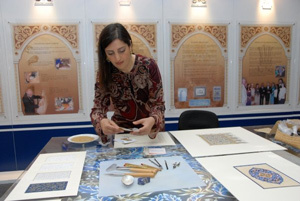 I want to distill what I know to make it more accessible to people who have little or no knowledge of such a specialized art form.” Inspired by scholar Martin Lings, the author of The Quranic Art of Calligraphy and Illumination, Unaiza sought out a classically trained teacher in Turkey who taught illumination at Istanbul’s Mimar Sinan Fine Arts University. Unaiza has some interesting projects in her resume, including offering courses at the famed Aga Khan Museum in Toronto on the floral forms decorating manuscripts in the museum’s permanent collection, and a collaborative exhibit called Bullets to Butterflies (inspired by Nobel Peace Prize winner Malala Yousafzai). 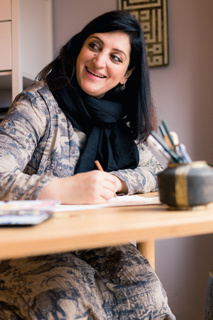 Her artistic abilities aside, Unaiza was instrumental in assisting with the relocation and settlement of a refugee family from Syria in her neighborhood. “The images out of Syria—families fleeing their country and being rendered homeless—were really disturbing. My friends and I thought we are living such comfortable lives and I don’t know how these people are managing, given the things they are facing. We decided we couldn’t just watch this without doing something,” she says. 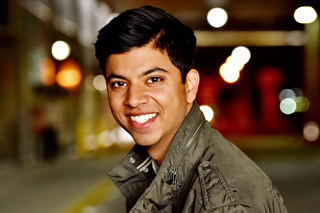 Sameer Patel credits his love for music to his parents. “When I was in the fifth grade my parents decided to enroll me in piano lessons, and in middle school I played in a band,” he says. “This wasn’t a standard expectation for the other Indian kids in our community, but my parents believed this was an important part of a well-rounded education. 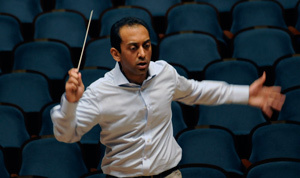 I didn’t enjoy practicing at first, but in time I got better, and it wasn’t until high school that I developed a real passion for music.” Hailed as one of America’s most exciting young conductors, Sameer is associate conductor with the San Diego Symphony. He’s a recipient of the 2016 and 2017 Solti Foundation U.S. Career Assistance Awards. High school was a turning point for Sameer. With the aid of some excellent teachers who encouraged him to pursue his passion, he blossomed, eventually attending Interlochen, the internationally renowned music camp in Michigan. He went on to the well-regarded University of Michigan, Ann Arbor, where he was part of their top-ranked conducting program and stayed on to do his Master’s degree in orchestral conducting. His studies also took him across Europe where he took international master classes with some of the great conductors of our time—Gianandrea Noseda (Music Director of the National Symphony Orchestra), Daniele Gatti (Chief Conductor of the Royal Concertgebouw Orchestra, Amsterdam), and the late Kurt Masur (former Music Director of the New York Philharmonic)—which opened up his eyes and ears to different perspectives and musical traditions. The most enjoyable part of conducting? “Audiences rarely have a chance to see little more than the performance, and at that point much of the work of a conductor has already been accomplished in study and rehearsal. “The best moments I have experienced as a conductor are when everybody on stage knows that together we have pulled off a great performance and you can feel the intense reaction from the audience.” You can see their shining eyes and you know this great music has found a way to move, touch, and inspire them,” he says. Sameer has some sage advice for youngsters planning to take up conducting as a career. “From a formal standpoint, I would encourage young musicians with an interest in conducting to seriously study an instrument and to pursue conducting studies in a program that will get them in front of an ensemble as much as possible. Additionally, they should observe orchestra rehearsals often, as one can learn a lot by seeing how the best conductors and orchestras work together to make music. 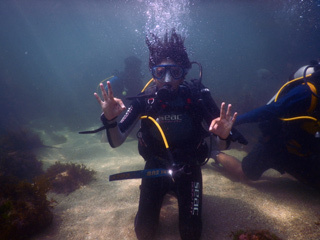 “I also believe it’s fundamentally important to develop a spirit of curiosity about learning and about life. Music shouldn’t exist in a bubble, and I encourage young musicians to read great books, travel, learn about art and history, study languages, and of course to be open to people and to the world around them. And above all, don’t be in a hurry. There’s a lot to learn and there’s a reason the greatest conductors in the world today are in their 80s!” he says. Moses had a typical childhood, steeped in the multicultural experiences that make Atlanta so unique. He also had a penchant for sports and took up tennis in a big way. “I’ve been playing competitively since I was 12; my parents supported me by taking me to tennis tournaments and such. They knew eventually that playing tennis would get me a tennis scholarship for college. I didn’t get into acting in film and television until about 2012, and they were excited for me,” he says. Moses even completed an MBA in sports management, but the arc lights of the big screen were all too tempting, and he decided to pursue acting full time. Though most of his speaking parts have been for student films and small indie short films, Moses has had the opportunity to be a part of some big projects in nonspeaking roles in The Hunger Games: Catching Fire, Scary Movie 5, Ride Along, Fist Fight, The Originals, and The Vampire Diaries, to name a few. “Those experiences taught me a lot about acting—such as set etiquette, a typical day on set, making connections and relationships, the do’s and don’ts on set, and so on,” he says. Growing up in Gujarat, Devanshi Kukadia already knew she had a soft spot for animals, especially those that needed some extra TLC. “I was always a little different from the rest of the children my age. I had 13 stray cats, eight stray dogs, and two cockatoos as pets while growing up.” Occasionally, we used to foster some of our friends’ dogs and parakeets also. While growing up, I started going to nearby lakes and forests and watching local wildlife, mainly birds. 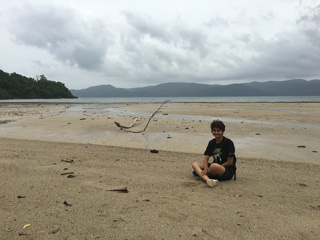 Soon, I could identify over a hundred different species of birds around me,” she reminisces. 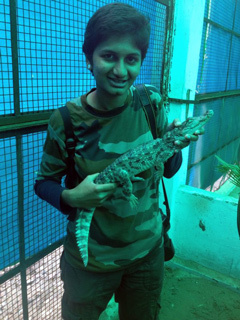 After volunteering with a local animal helpline service and a rescue and rehabilitation center while pursuing her undergraduate degree in zoology, Devanshi got her Master’s degree (only 13 students, including Devanshi, got through the entrance exam) at the prestigious Wildlife Institute of India in Dehradun. She then went on to intern at the Colorado Natural Heritage Program at Colorado State University in Fort Collins, where she worked in the prairie grasslands of Colorado and learned about drought and the fragmentation effects on the prairie ecosystem. Baisakhi Roy is a Toronto-based writer and online editor who loves to write about ordinary people and their extraordinary stories. She also loves doing Legos with her 9-year-old daughter.